Driving through Echo Park it’s not hard to tell which of the two trucks parked on Alvarado is more popular. 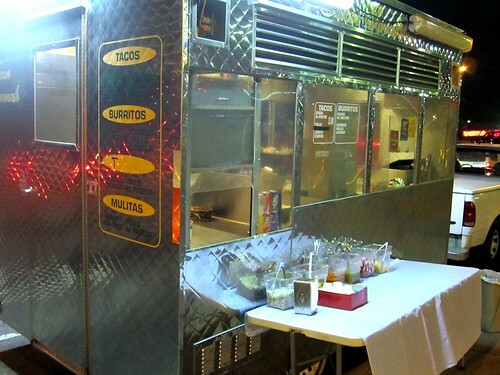 You have Taco Zone (1342 N Alvarado St) and its taco wagon plastered with stickers from everyone from Shepard Fairy’s Andre the Giant “Obey” to Pabst Blue Ribbon. 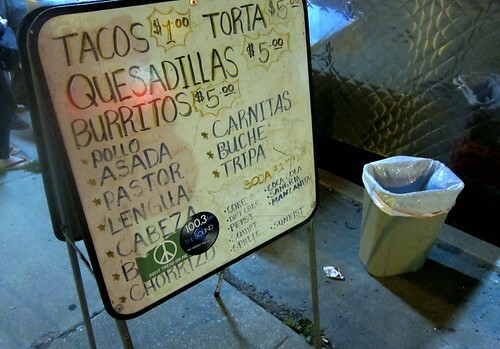 Then you have Tacos Savannah with two lonely stickers on its menu board: a 100.3 The Sound sticker and a peace sign sticker with the words “don’t tread on me”. Not exactly hipster swag. It sounds like Echo Park was infiltrated by a confused hippie. Taco Zone: "All your stickers are belong to me!!" I ordered al pastor, chorizo, and carne asada. 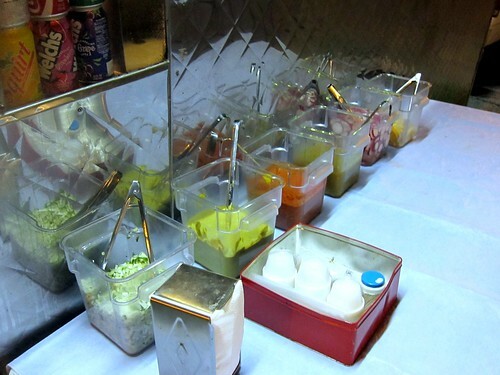 The tubs of condiments included three salsas: roja, verde, avocado, as well as radishes, lemons, onions, and cilantro. The al pastor wasn’t helped by the too mild salsa verde but it was pretty plain anyway. 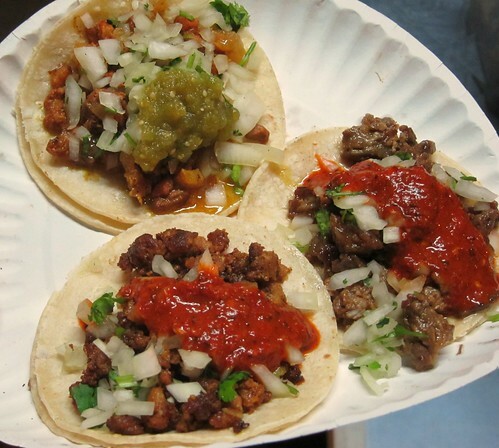 Ground pork that is marinated in pinapple juice isn’t real al pastor. The chorizo was better than most chorizo I’ve had which can be too greasy. This felt like I was eating real sausage. The carne asada with the salsa roja was good enough that I ordered another. The greasy bits of steak had good flavor and no fatty bits. The salsas at Tacos Savannah are inferior to Taco Zone’s, which to be fair are pretty damn good. But any meat-to-meat comparison would have to favor Tacos Savannah. 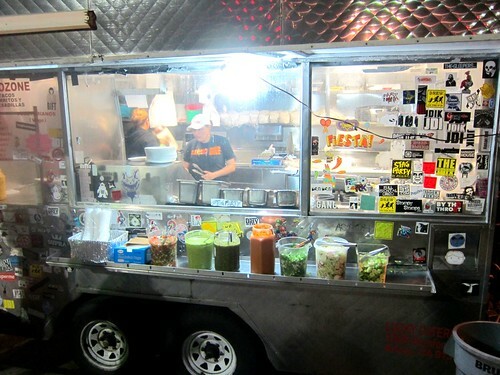 But if you absolutely must eat from the taco truck with the best stickers then go to Taco Zone. That's where they went. 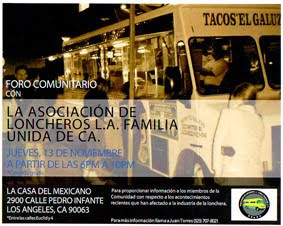 Last year they were on York Blvd on the boarder with South Pasadena.